Orions have a thrive for information and may become frustrated with people who don’t share this hunger. They have interest in variety of areas. They are either fairly well-informed, or sometimes don’t have any interest in any way and understand virtually nothing. They are skeptics and find it difficult to accept beliefs, without the evidence and proof. Orions can be very critical of people and even themselves. This is because they are perfectionists. Orions tend to be very vulnerable to balance, so they can get upset or get ill in circumstances where there is no balance. Starseeds from orion need a flow of balanced energy in their environment to feel great. Orions sometimes surprise others with their reactions and respond to emotions intellectually. If they are not allowed to ask question, then they are going to start investigating, or repressing their emotions. Those who are from Orion need privacy and seclude themselves to recharge, to know themselves within again. They do their best being alone or even in a small group, they are never comfortable in large groups settings. 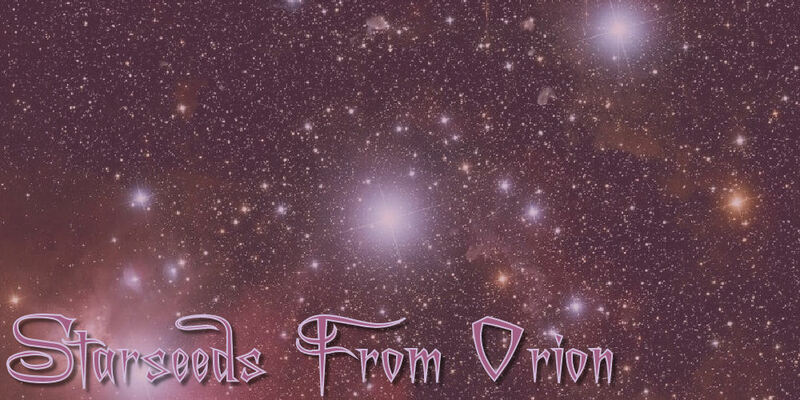 Many orion starseeds make great teachers, as they have the ability to see detail. Orions starseeds have a great sense of humor, they like to make others laugh, play and tease. On the spiritual path, orion starseed biggest challenge is that of developing faith and trust. Orions are seekers, they love to question, look for proof, they are looking for logical understanding before they would accept a belief. Orion starseeds struggle with combining spiritual self and technical mind.